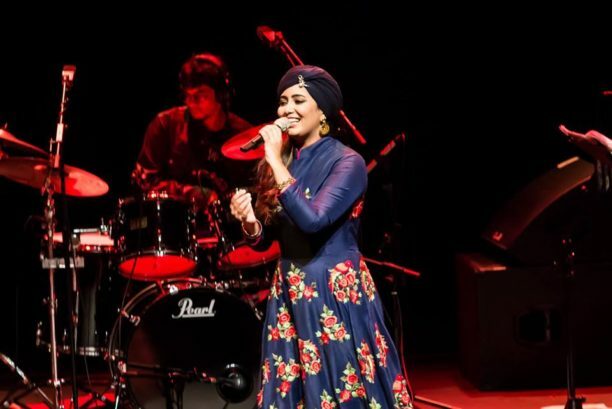 The queen of Sufi and the mesmerising voice of Bollywood, Harshdeep Kaur, recently completed her debut solo UK concerts in March 2018. Taking place at London’s Barbican and Birmingham Town Hall, Harshdeep Kaur gave spectacular performances. The concerts were produced and managed by Asian Arts Agency. If you could not make the concerts, do not worry! Asian Arts Agency have released three videos captured live during the Birmingham concert and we have them just for you. Watch Harshdeep Kaur sing ‘Heer’, ‘Mast Qalandar’ and ‘Lambi Judai’. You can catch a glimpse of the magical atmosphere! From the film Jab Thak Hai Jaan, Heer was picturised on Katrina Kaif. The song refers to the legendary love stories of Heer – Ranjha and Mirza – Sahiba. Originally by legendary folk singer, Reshma, Lambi Judai is a song yearning in separation from the beloved. We hope you enjoyed the videos! Which was your favourite? Let us know in the comments below.